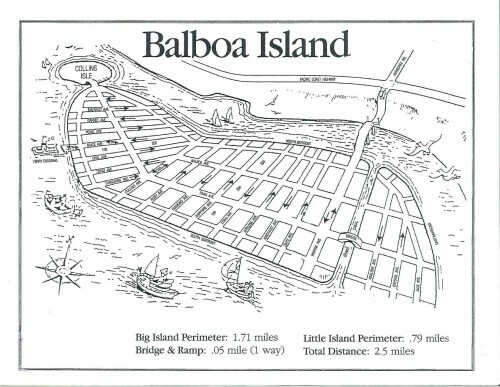 For Driving Directions to Balboa Island please Click MAP QUEST and enter your starting location. Take the 405 Freeway South to the Jamboree Exit. Take Jamboree Boulevard west (towards the beach) for approximately 5 miles till it crosses Pacific Coast Highway, down a hill and ends on Balboa Island! Take McArthur to Jamboree and turn Right. Take Jamboree for approximately 3 miles till it crosses Pacific Coast Highway, goes down the hill and goes over the Balboa Island Bridge and ends on Balboa Island! Take the 405 Freeway North to the Jamboree Exit (after you cross the 55 Freeway). Take Jamboree west (towards the beach) for approximately 5 miles till it crosses Pacific Coast Highway, goes down a hill and ends on Balboa Island! 33 degrees, 36 hours and 2 minutes north; 117 degrees, 53 hours west.